The Delhi Gate at its northern tip is the main entrance to the historic ruined citadel of Mandu, once the capital of the Sultans of Malwa. The hillfort is sited in a spectacular, naturally-defended position on a plateau of the Vindhya hills surrounded by a ravine. 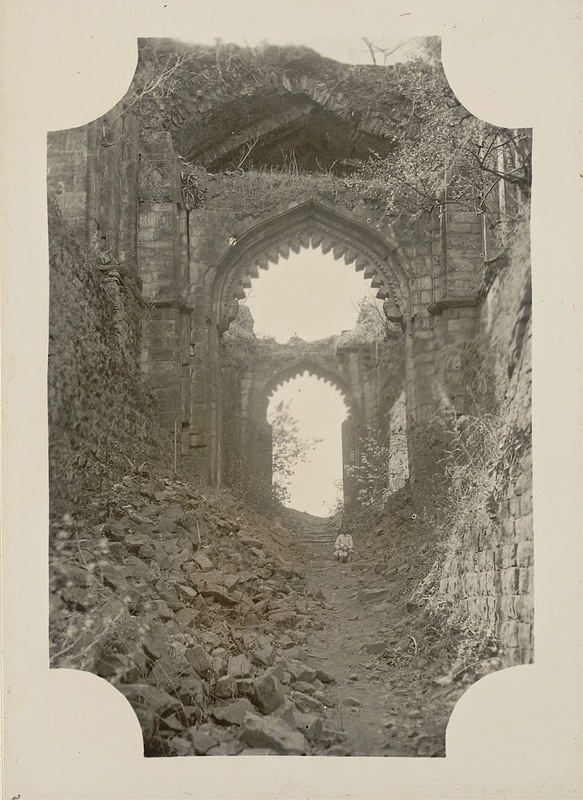 The Delhi Gate (1405-7) was erected by Hoshang Shah of the Ghurid Dynasty (reigned 1405-35, the son of Dilawar Khan Ghuri, the first Sultan of Malwa) as the main entrance to the fort at Mandu. The dilapidated appearance is due the ferocity of past sieges.